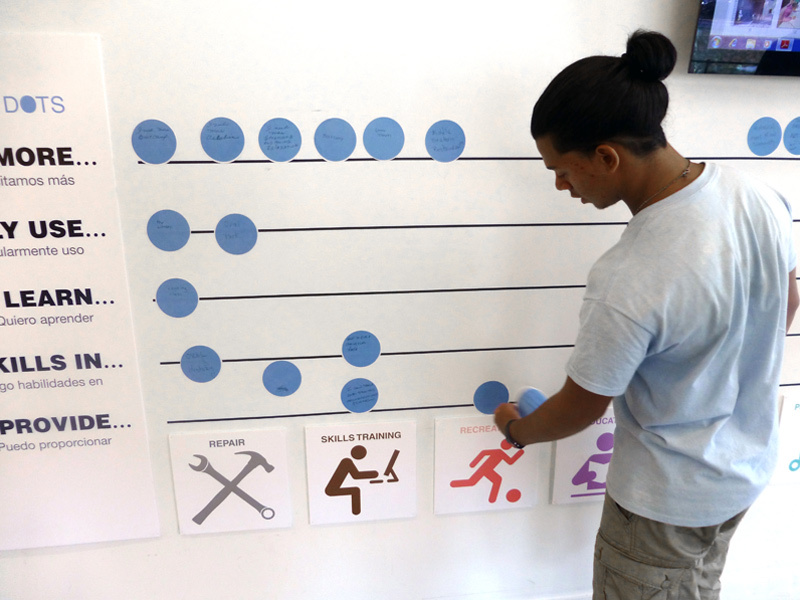 The Community Visioning installation was installed in August, 2013 at the Poe Park Visitor Center in the borough of the Bronx, New York City. The installation was designed to provide members of the Poe Park area community and beyond, an opportunity to a weigh in on what’s working in their community, what isn’t, and what new opportunities can be developed in the future. 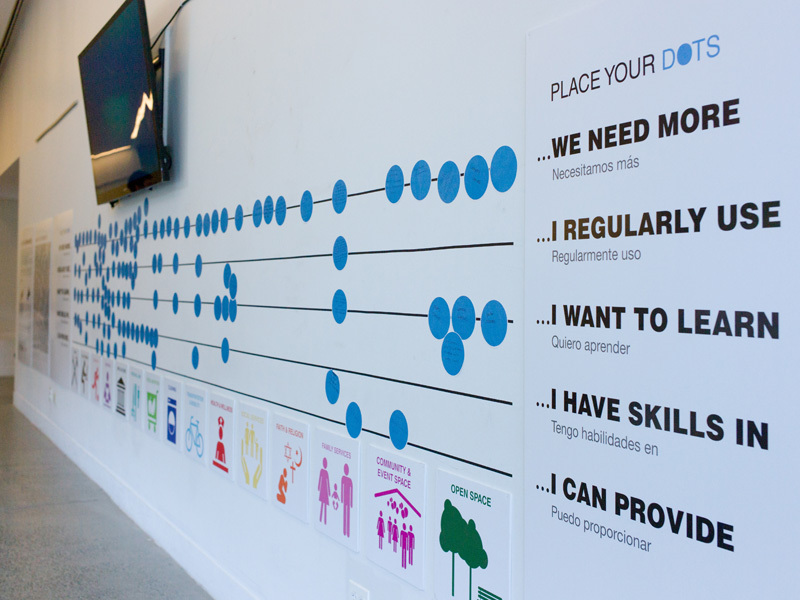 The interactive graphic installation was used to visualize the intersection of skills, services and spaces with potential opportunities to give and receive these resources. Visitors to the Community Visioning event were provided with stickers that could be applied to the wall next to prompts indicating a range of wishes from “wanting” to “having” to “giving” in their community. 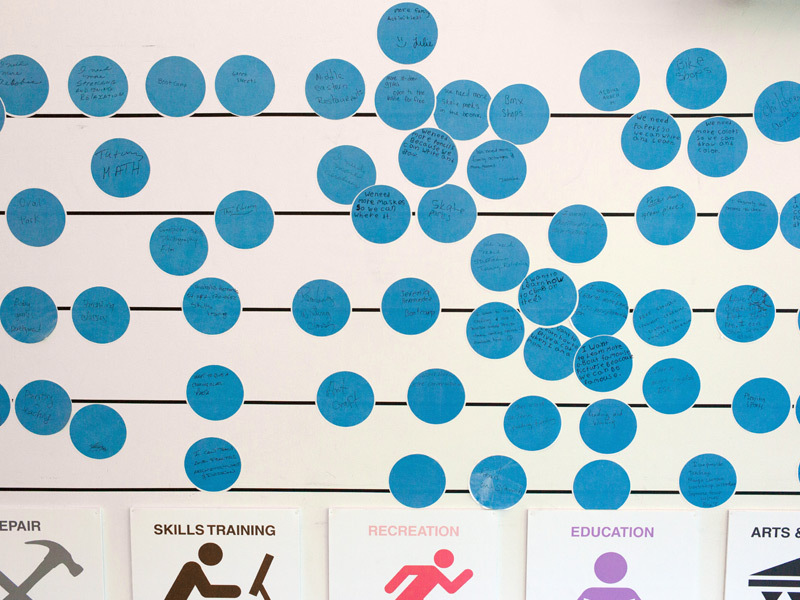 A series of symbols arrayed along the bottom of the wall mural, would allow users to match their responses to a specific category of community needs or resources- from education and employment to family services, recreation and open space. As a low-tech, interactive component the Community Visioning initiative served to attract visitors and become a catalyst for wider dialogue between Poe Park and the surrounding community. 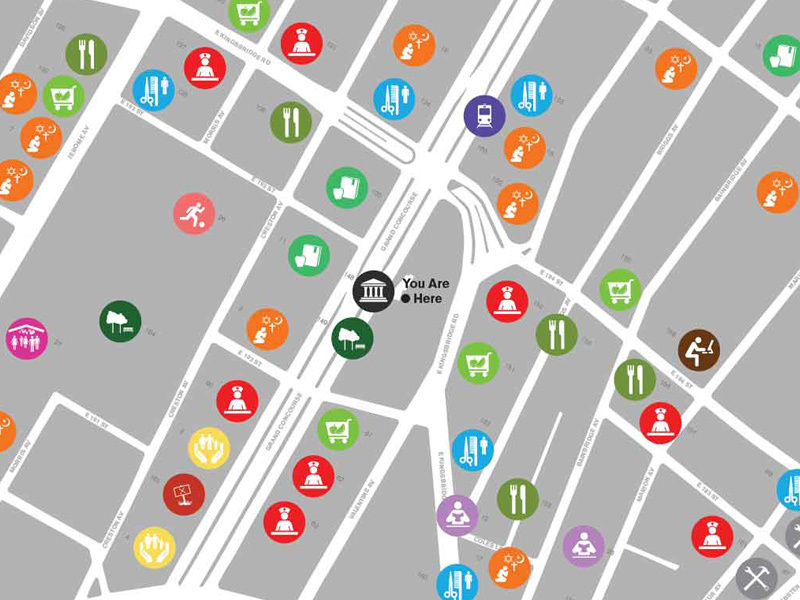 Data collected served as a tool to communicate to city agencies and organizations. 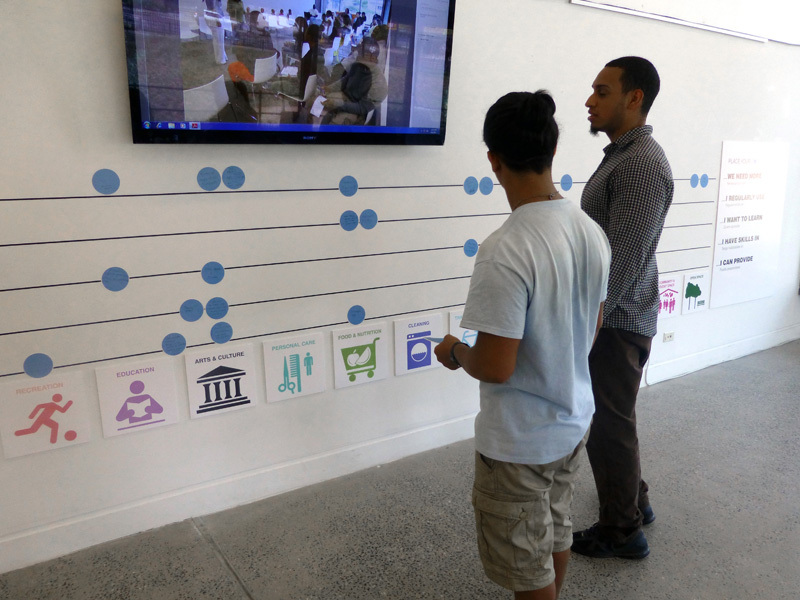 The near-term goal was to capture the participation and feedback from local residents and stakeholders, generating future programming concepts in parallel with those currently on offer at the visitors center. This includes educational, civic and cultural initiatives. In the long term, the Poe Park pilot is designed to suggest opportunities for connecting other Parks facilities to specific communities and networks present throughout New York City. 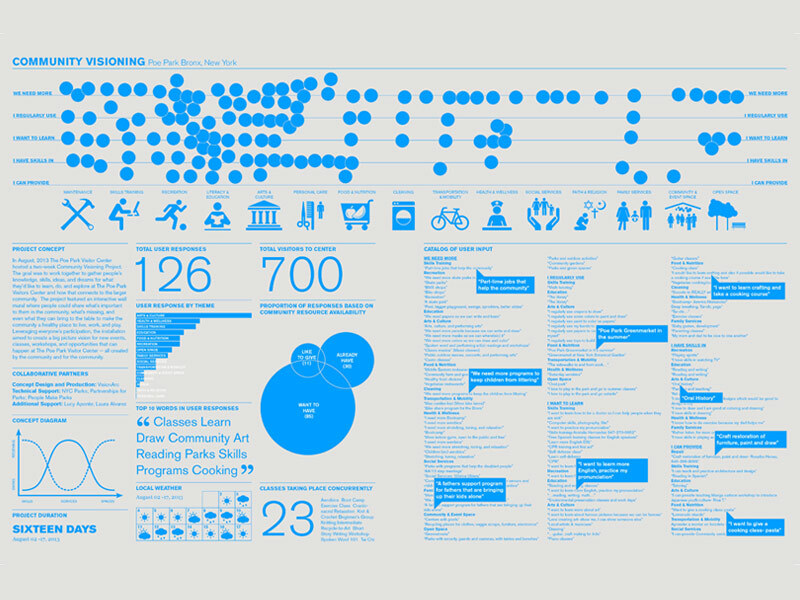 The Community Visioning installation is a joint project with NYC Parks and VisionArc. Technical support and planning guidance were provides by members of City Parks Foundation/Partnerships for Parks and People Make Parks.